, April 4, 2017 — Dropnoise purchased Zoom H5N and MicW E418 Professional Microphone to add to our arsenal of noise measuring equipment. With addition of both devices, audio recordings will greatly be enhanced in terms of accuracy and clarity. Along with the Class 1 Sound Level Meters (SLM), we have once again elevated our Noise Nuisance Monitoring and Recording capability. 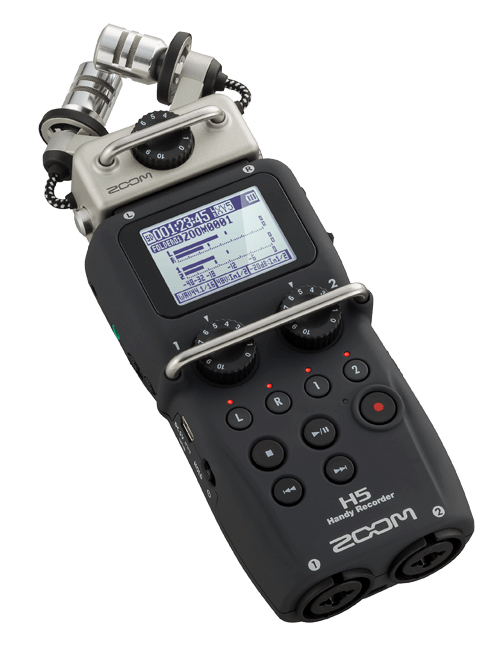 The H5 Handy from Zoom is a compact, portable handheld digital recorder that is capable of four-track recording and features an interchangeable, modular microphone system. X/Y recording allows one to cover a wide area yet still capture sound sources in the center with clarity and definition, making it ideal for all types of live stereo recording. The design of the XYH-5 also allows the H5 to handle louder sounds than any other Handy Recorder model: 140 dB SPL, to be precise—equivalent to the sound of a jet aircraft from less than 200 feet away—enabling one to capture sounds louder, closer, and cleaner than ever before. The E418 is a small diaphragm, omnidirectional microphone that uses ¼ E series microphone capsule. It has frequency response from 20 Hz to 20k Hz with 2-4 dB soft rise around 8-10k Hz. Its impulse response and settling time is exceptional short, which gives clear and rich sounds.